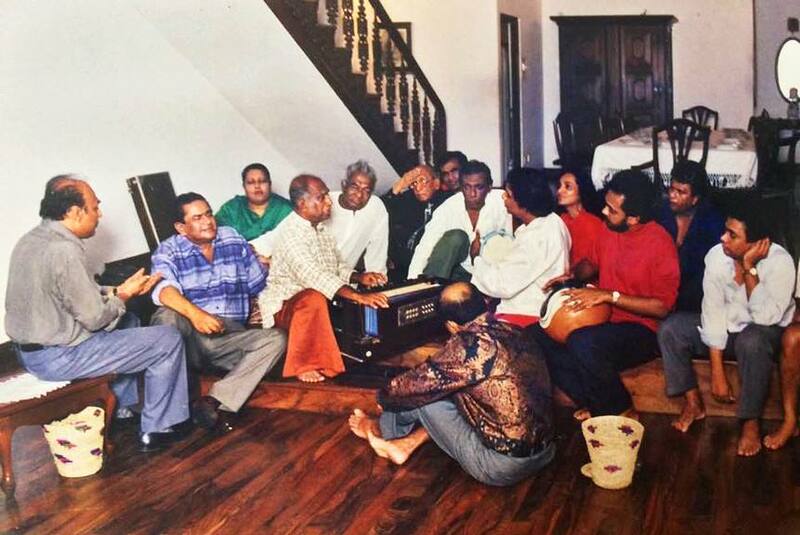 When Jothipala died somewhere in 1987, people wept. His funeral, like the funeral of Rukmani Devi years earlier, was attended by thousands of fans, who braved the soon-to-erupt JVP-UNP bheeshanaya. If we are to assess the worth of a singer on the basis of how prabuddha (highbrow) he is, then there’s nothing to help us rationalise why so many could weep at this particular singer’s funeral. And yet, many did weep. So many, in fact, that after the funeral no less a person than Sarath Amunugama wrote an article on what he termed as the “janapriya sanskruthiya”, where he implied that Jothipala, despite his pandering to populist sentiments, had emerged as a singer of the nation. Having read this essay, Nalin de Silva, by his own admission an admirer of the “prabuddha sanksruthiya” back then, wrote a reply demeaning Amunugama’s stance and explicitly batting for the culture that was opposed to these populist sentiments. Decades later, having repented and turned around as the face of the Jathika Chinthanaya, de Silva eschewed his fascination with the highbrow culture and penned the following: “When Jothipala died, thousands of fans flocked to Kanatte and no ‘prabhuddha’ artiste had ever been respected by so many people at his/her funeral.” It took no less a figure than Amaradeva, the de facto symbol of that prabuddha sensibility here, to compel the same outflow of grief at his passing away. Clement Greenberg’s analysis of art and non art doesn’t hold much water in Sri Lanka because, as with all colonial societies, we never made the transition from art to kitsch through an intermediate stage; we just transited from the one to the other. As such, instead of art and kitsch, we have what we can broadly term as “jana” on the one hand and “janapriya” on the other. Both these cultural sensibilities, as I wrote last week, neglected the folk culture, the culture regenerated by the efforts of Lionel and Sahan Ranwala as well as the likes of Piyasiri Wijeratne and Rohana Baddage. Rationalising this split requires an explication of how, and why, jana and janapriya remain wedded to each other, as strands of one holistic sensibility, and how and why the folk culture, when it evolved into the formal culture, had to waste away half its essence to the dust in a bid to appeal to mass or elite audiences. Was it because of the fact, which holds valid in virtually every society, that once you attempt to preserve folk art forms through a process of refinement, you inevitably contort those same art forms? And if so, does that explain why Jothipala and Amaradeva occupy the same pedestal, though from opposite ends? The art forms which evolved after 1956 was smeared, necessarily, by the three art movements the Western world brought out in the 20th century: realism and naturalism, modernism, and postmodernism. The novels of Martin Wickramasinghe, the songs of Amaradeva, and the films of Lester James Peries belong squarely to the first and second of these movements. Out of these pioneers only Martin Wickramasinghe tried to go beyond their confines and parameters, and while Bawatharanaya (his last) is considered a lesser work, as a blatant act of depicting the Buddha the same way Nikos Kazantzakis depicted Christ (The Last Temptation was published around the time Wickramasinghe was writing Viragaya), it nevertheless attempted to go beyond the limits of modernism. Inasmuch as these artistes discovered a way through which the folk culture could be communicated to lay audiences, they ended up forming a substantial fan base among the milieu aspiring to become a petty bourgeoisie: as a result of free education and the social mobility it enabled among this milieu, the patrons of the Amaradevas and the Perieses and the Chitrasenas came from a bilingual, half-sophisticated crowd. Preservation of the folk culture, at the hands of this crowd, required Westernisation and Sanskritisation. In postcolonial societies, particularly one with a dispossessed peasantry on the one hand and an uprooted, apathetic landowning bourgeoisie on the other, it was left largely to the petty bourgeoisie to act as intermediaries between the two. They were more or less cultural ambassadors, who intended to transform if not transubstantiate the art forms they had grown up with in the same villages they left later on, as with the Kaisaruvattes from the Koggala trilogy. This was true of societies in which industrialisation had not already enabled a sizeable population to leave those villages: in other words, the society we had, and the society Britain, France, and Germany (where the abstract concepts of autonomy and sovereignty, as well as the people’s will, came to be respected through the wave of literacy enabled by the Industrial Revolution) did not have. Sri Lanka in that sense lagged behind: we didn’t have a proper industrial revolution of our own, only a half-baked, neither-here-nor-there society of imperialists and their lackeys versus their countrymen. In the early days, it was the offspring of these lackeys who idealised the folk culture, the peasantry, and tried their hand at preserving folk art forms no matter how imperfect their attempts were. 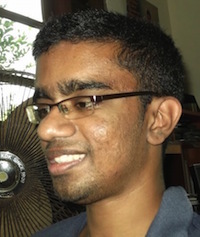 Devar Surya Sena, formerly Herbert Charles Jacob Peiris, son of Sir James Peiris (the first non-European to be appointed President of the Cambridge Union), was the first of these offspring. They came from the Anglican elite, and in their efforts at spawning a national consciousness, they found a meaning for their own uprooted lives. The generation of Amaradeva and Chitrasena came from a more intermediate social milieu, which belonged at once to both the formal and the folk and yet was at home with neither. They were affluent, but not affluent enough to rake up the sort of leisure and privilege essential for the formation of a refined cultural sensibility. The groundwork laid down by the likes of Sena proved to be crucial to them, and what they had discovered, the petty bourgeoisie added to. But what Sena and Rajapakse lacked, as their recordings of songs we mistakenly allude to as Sinhalese and Buddhist today (“Danno Budunge”) indicate, was the requisite Sinhala-ness to strike a chord with popular audiences. The petty bourgeoisie, at once linked to and disdainful of the peasantry, found their icons with a set of artists who could leap over this limitation. They could not go back to the village, nor could they completely turn away from it. This at times contradictory streak is what makes up much of our cultural revolution, from the forties and fifties onwards. Free education liberated the masses from the necessity of a bilingual education. Until then, bilingualism remained a definitive mark of the petty bourgeoisie and the rural bourgeoisie, who sent their children to English speaking schools. Sinhala Only sought to do away with English altogether, and what resulted was a whole generation of audiences who were, proverbially speaking, never rooted in anything substantive. Once a cultural sphere evolves to this sort of audience, the artists tend to make a distinction between the folk and the formal while attempting to assimilate the former into the latter. Towards the end of the sixties, with the appointment of C. de S. Kulatilake as the head of the Folk Music Research Unit at Radio Ceylon, this process of assimilation began. It was through the attempts of Kulatilake that the likes of T. M. Jayaratne and Neela Wickramasinghe (who were tasked with singing and refining that quaint Sinhala ballad, “Badde Watata”, as part of their first assignment) emerged. These performers, who came after Amaradeva and Khemadasa had unleashed their musical revolutions (sourcing them to India and West, respectively), inadvertently brought about the fusion of one culture with the other. We can imagine this trinity – jana, janapriya, folk – as variants of the same cultural sensibility. What differentiates the first two from the third is the milieu which pandered to them. Jana and janapriya were cultural forms which cropped up once the petty bourgeoisie were able to separate art from its historic roots. I am not contending that this act of separation was a sacrilege; in fact far from being a sacrilege, it was an inevitability. And by separation, I do not imply that art forms were stripped of their cultural roots. What happened was this: fusing the folk with the formal meant, over the years, refining and redefining the former. That required the opening up of the art we had to the art they had, elsewhere, in the outside world. Largely urbane, secular, and sophisticated, if only half so, the new petty bourgeoisie, equipped with neither their roots nor the language of access, English, secularised the culture they patronised. The mystical, the extraordinary, the other-worldly, they had already separated from the real, the mundane, the this-worldly, in how they followed the faith of the majority, Buddhism. This distinction was reflected in the way they, and the artists they pandered to, sang, wrote, filmed, and performed. Here we can agree with Nalin de Silva’s contention that the artists of 1956 contorted our effort to search for a modernity located in the Sinhala Buddhist locale. And here we can properly examine a contemporary dilemma: while a janapriya sensibility continues to evolve, the jana sanskruthiya has, somehow, and tragically so, stalled. We have many Jothipalas, but we have no Amaradeva to at least cry at when he passes away. meaningless . Why not stay with clear ideas without wondering intellectually. UDITHA: when I read your article, I Say you are definitely a Protestant, carry anti-Sinhalabuddhist Sentiment, do not know the differences between the words or Popular culture (say music or arts) and the Prabuddha (the word buddha stands for knowledge, wisdom), try to explain sinhala modern art in terms of western arts that existed ages ago, do not know the differences of the words of FAITH and SRADDHA ( A pali or sinhala word). Remember there are parts of Sinhala, Indian or Asian culture which cannot be explained with English which is enriched with Catholic/christian culture. So, you need to find the buddhist Synonems. Otherwise, the writer is very ignorent for some readers. Jothipala was a very good artist.but he was representing the Popular culture. HE was used to roam around the ISland and he even approchaed the audience. On the other hand, Amaradeva was a musician of the Prbudhha kind. He di dnot roam around the island selling his music. He went to radio/TV probrams and had been singing inside Universities. Nalind De silva talked about the importance of the PRabuddha culture that way. I don’t think Baila which is proteguese, Intrumental fast music comes under PRabuddha music. FOr example. amaradeva’s music is independant of the time and not others. Your article is really messed up. YOU tried to say everything yiu want to say but the article is not flowing. Everything every where. Here what buddhism got to do with Music. IT should be buddhist culture. Sri lanka has lot of influence from buddhism and you like a student from INTERNATIOANL SCHOOLS who does not know the Sri lankan cultuure, History, Folk Music and know only the Western culture enriched with Christianity. I think you are a misfit in Sri lanka as Sinhala buddhist culture, history, arts are foreign to you. On ther other hand, you won’t be fitting in the western culture because there is a side foreign to you there. Long time no see Uditha Devapriya! 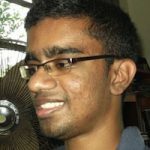 To expose yet again your mindset which is ‘Minorities do not exist in SL’? K.PILLAI: The problem is minoritirs do not understand their problems. Instead they bash the Majority and tries to make majority submits to the minorities. that is what UDitha is saying. Can’t Someone else write a similar article on Tamil and Muslim cultures? Problem is Sri Lankan education system nurtures monoculture-whether they be majority or minorities. Majority does not speak the language of the minority. As a rule,Minorities do not speak the language of the majority. All try to learn ENGLISH while being segregated as linguistic communities.So all become bilinguals. Uditha has to be commended for trying to understand and explain culture and its variants. While he talks about petty bourgeoisie culture, he simply ignores bourgeoisie culture except some references to Anglicised elites trying to reinvigorate folk culture in the past? Sri Lanka has a ceremonially focused ‘high culture’ maintained by powerful social institutions and forces. Weddings,funerals,dana/pirith pinkamas,birth day parties, puberty ceremonies, temple rituals etc. are essential elements of this high culture. Lower strata of the society such as petty bourgeoisie also participate in this culture in some way defined by cultural (religious,literary,artisic) elites or the literati.But there is a qualitative difference in the way a rich businessman or a politician in Colombo participate in this formal culture and one from the village does. Sure Western cultural elements have been infused with this formal culture( due to colonial influence) as are Hindu cultural elements(until recently the Sthrotra uttered at weddings were in Sanskrit). Bilingualism never stopped. it continues with higher education and employment in the state and private sectors of the people from folk backgrounds gone through modernist education. As Uditha says, with social mobility of sections of society hitherto underprivileged facilitated an audience(Sinhala)for art work by Prabuddha and janapriya artists. Such artwork are mere expressions of the core story of Sinhalese,their experiences and anxieties(listen to the contents of some songs). But I still can’t understand what is Jana? Whats the difference between jana and folk? Uditha does not expand on this sufficiently? Ceremonial,formal culture in SL has become very expensive today. Imagine holding a wedding in a 5 star hotel! Can a petty bourgeoisie afford to do this unless he/she borrows money? Prabuddha Lankans need to critically look at the burden of ceremonial culture that has been imposed by the social institutions historically and explain its unviability in contemporary context rather than trying to imitate and emulate the same at any cost. Uditha should become a ground-breaking trend-setter and encourage young people to elope. Just imagine how many terrible weddings one would be not obliged to attend! We have all attended terrible weddings, some of us, our own! :)) ………. Not me! ……..uxorious is my middle name. Some of us who fear not even God ……. in the end have to fear someone!